Ah Hwee Prawn Noodles is an old-fashioned prawn noodle stall located in the quiet area just across the entrance to Little India, where Selegie Road turns into Serangoon Road. 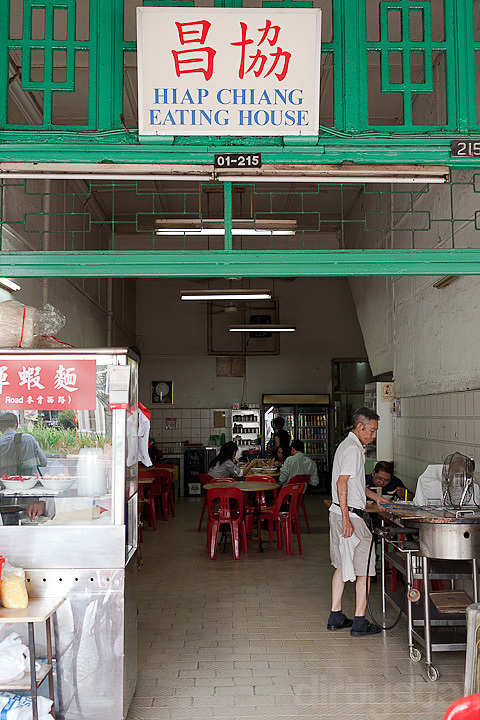 It’s an eating house from a past era with its faded walls and grungy tiles; there’s a sense of nostalgia when you take a seat to order your food, sheltered from the scorching heat and bustling traffic by the road. And the prawn noodles is delicious as well, a light broth but yet rich in flavours. I’m guessing this is probably due to a strong stock made from lots of pork bones and a large dose of pork lard simmering in the stock. But the umami taste from the prawns is still present in the soup and rounds it off. Ah Hwee Prawn Noodle is a must-try if you happen to be in that area and love prawn noodles, but do so quickly as the entire block that they’re in is slated for demolition or renewal come July or so. It’s sad to see another piece of Singaporean nostalgia being torn down to make way for spankling new malls that die off after a while, like The Verge diagionally opposite. 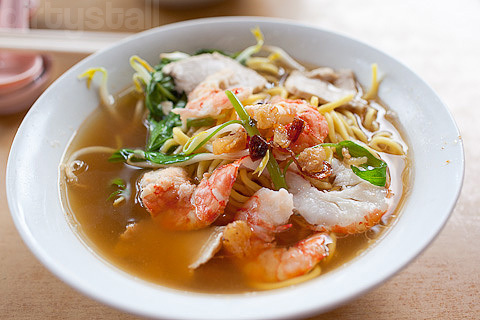 6 Responses to "Ah Hwee Prawn Noodles"
So old school prawn mee… nice. This picture is very well-taken, looks really post-card beautiful. This stall have shifted do you know where it gone too?>? I believe it has moved to Crawford Lane area.